I was practicing today the procedure during a failure after V1 and found that the behaviour of the IXEG is really hard to control. I have recorded a couple of videos so you can see what I mean. Basically I am failing engine 1 at 123 knots, V1 is 120 and the plane totally rolles to the left, out of the runway. I try to apply full rudder pedal to keep it in the center line of the runway but, until today, I have not been able to do so. I am using X-Plane 10 at MPTO, no wind, no rain, configured "ready to fly". I appreciate very much your feedback. Greetings!!! I think this is a combination of several things. - Failed engine goes from full to 0 thrust in split of a second, probably not realistic, more likely would get a bit more time (spool down) in real to correct with the rudder in most cases. - You are using full engine TO thrust (not normally used) which will give the most problems, but it should off course be able to handle that. - Not sure what your elevator trim was but I assume it was in the green band. So thanks for reporting it, we might be able to do something about 1 and 2, but this is more Laminar territory, but we will put it on the list of things to look into. I have to agree with TEBAN, the rudder authority is not sufficient at scheduled V1 speed (scheduled through the FMC). If the engine fails at V1, the pilot should be able to maintain directional control deviating no more than 30 feet from the runway centerline - that's a part 25 certification requirement. De-rates lower VMCG and V1 speed, but the same requirement must be met at all de-rates. I don't seem to have a similar problem with the other X-Plane B737s, namely the stock/ZIBO 737-800 or the FlyJSim 737-200. Granted, they are different, but I don't Laminar is necessarily the problem. I have a set of FlightLink metal/gas cylinder rudder pedals. I can put a pretty fast hard push when the engine quits. I can't keep it straight. I see the same thing Teban is seeing. Could the rudder authority be too low for the airspeed near V1 speeds? Is the Vspeed schedule correct? X-Plane is pretty accurate with the V1 cuts. 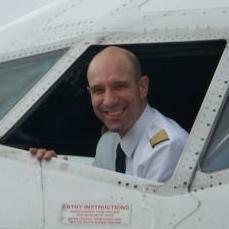 While I have not done them in a B737, I have done and taught them in Lear 45, Lear 35, CL300, and DA2000 simulators. Even at the lowest authorized V1 speed, you can always parallel the centerline. Most cases, you can keep it. Hmm, I just tried again - for me there is enough rudder authority to regain the centerline when an engine fails at V1. (100.000lbs takeoff weight, full N1, V1 at 120 kts for flaps 5). However I agree that the onset of the yaw is very sudden and I deviate from the centerline too far before I can compensate. I am unsure what the reason is for this. The physical forces at play seem to be correct, as there is enough authority (for me) to not only counter the yaw, but also enough to steer back to the centerline against the working engine. It could be that the engine failure in X-Plane is very "sudden" (vs. a more gradual thrust decrease in a real engine failure). It could also be that we are missing the "seat of the pants" onset of yaw cue that you certainly have in a real aircraft, which allows you to react faster/instinctively. There is also the possibility that recent updates to X-Plane have changed yaw forces (better ground friction) to make the airplane depart the centerline faster. I will look into tuning this a bit for the next update - we calculate yaw forces while on the ground within our own plugin (bypassing X-Plane, as it´s ground model is still not acceptable for the fidelity we look for), so it should accomplishable with a code tweak. Please don't get me wrong. I think the physics of a V1 cut in the IXEG and in X-Plane are spot on! In fact, I practice my V1 cuts in X-Plane rather than P3D or FSX because they are so much better. Level D 767 in FSX was the only addon that even got close to being realistic. My issue is not having enough rudder authority to stop the yaw and bring the aircraft back to parallel the centerline, which is the only certification requirement when V1 is equal to V1vmcg, and then only after a centerline deviation of no more than 30 feet. I wonder if some of the causes could be the result of the joystick settings. I have the elevator (pitch) and aileron (roll) stability augmentation set rather high at 75%. Otherwise, it's too roll and pitch sensitive for me (have a PFC column yoke). I have the rudder set at 75% but that might be too high? Love the IXEG B737 addon! The stability setting may very well be your problem. We STRONGLY recommend to run the plane with artificial stability set at 0. It´s not realistic to use artificial stability at all, and in fact it can interfere with controllability (as we may see in this case). You can play with the joystick response curve if you feel the plane is too sensitive - this would decrease control deflection for a given joystick deflection, which is more what you are looking for. But the artificial stability is a "training wheel" and "instructor is gently holding his set of controls to help" type setting. I appreciate the guidance on setting the joystick. I'm still new to X-Plane, so don't quite know how to tweak it. I'll put the stability settings back to zero and test again. I retested with the stability augmentation settings back at zero. There was still a very pronounced yaw, but not unrealistic for a sudden engine cut. A rollback may not have been as pronounced, but very good for V1 cut training. After the initial yaw and full rudder application, the aircraft's yaw corrected back to parallel the centerline with a little left over to bring it back to centerline. Again, what I would consider highly realistic for a sudden engine cut. I would like to try it on a high, high, and heavy day to see if the yaw is less pronounced. When time permits, I guess :-). Thanks for the hint on the response curves. I dropped the roll and pitch upper and far right level to 80% and then made it linear from the bottom left. That seemed to address the control response issue. The B737 doesn't feel like a Pitts....or my DA2000. I didn't know that existed. Thanks! Thanks again for your help! I'm starting to enjoy X-Plane!